Where do teachers fit into the current landscape of education reform? The results of the recent Met Life survey should surprise no one: Teachers’ morale is at an all-time low. The causes are not hard to see, and include a combination of budget cuts and layoffs along with a decade of NCLB-inspired scripted curricula and a steady diet of union bashing in the education press. It is ironic that all of this comes at a time when the mantra of “good teaching matters” is on everyone’s lips. Is there a way to reform education, survive budget cuts, and also re-inspire teachers and reinvigorate the teaching profession? The answer is not clear, but the stakes could hardly be higher. The future of California depends on ensuring that about 280,000 people continue to love teaching. Most of them are already at work in classrooms. Do any of the reforms currently being tested have the potential to capture the imagination and channel the creative energy of this key group? Does anyone working on these reforms even have this goal in mind? Here’s the problem as well as the opportunity: An unlikely but effective laugh line that works with both teachers and administrators is to ask them whether their current teacher evaluation process communicates a vision of excellence that inspires teachers. Some people don’t just laugh, they guffaw. That’s the point: If we began the redesign of teacher evaluation with the goal of creating a shared vision of what excellent teaching looks like and how teachers will be supported to achieve it, we can take a step toward re-inspiring teachers. Of course, that is not the approach to this topic that gets the attention of the media (where the focus is on firing incompetent teachers) or of most policymakers (who keep worrying about the role of test scores). But, as is often the case, there are school districts that are taking a more innovative approach. These are largely smaller districts with a collaborative culture whose leaders from both labor and management are convinced that what they have been doing needs an overhaul. 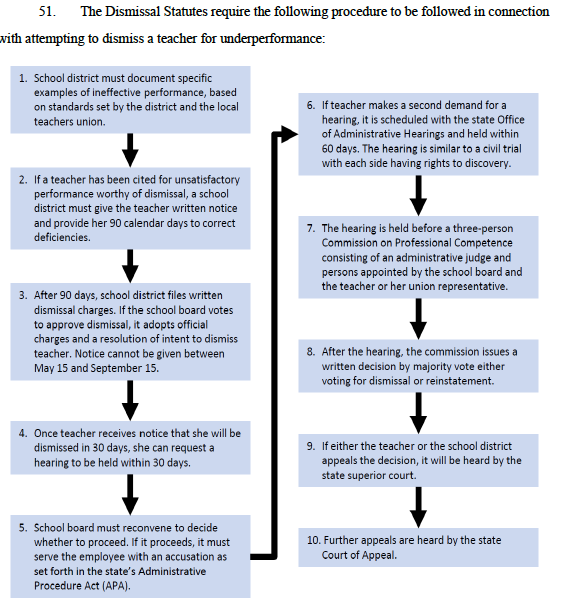 Several such districts have made the choice to retool their teacher evaluation process and to do so ahead of any policy mandate. Policymakers would do well to take the time to understand both the goals of such efforts and the lessons that are emerging, since the wrong set of mandates can easily stifle the emergence of promising practices. They understand that effective evaluation systems rely on high levels of trust, and as a result they design a collaborative process that includes both teachers and administrators and that has trust-building as an explicit goal. 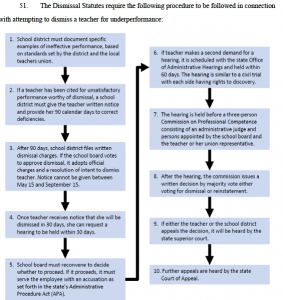 Such a process will likely look different in different districts. Any new policy should support – but not constrain – such a collaborative process. They begin not with the question of how to measure teaching excellence, but rather with the far more fundamental and engaging question of what is being measured. What are the dimensions of good teaching? What does it look like in practice? Importantly for policymakers, tools like the California Standards for the Teaching Profession inform, but do not short circuit, this discussion. One teacher’s comment at the end of a highly collaborative process of exploring these issues was “That was some of the best professional development I’ve ever experienced.” That’s also a big step in the right direction. On the basis of what we’ve seen, policymakers should not mandate any tool – including the state Standards for the Teaching Profession – that encourages locals to think they can skip these sometimes difficult conversations. They treat the shift from the old to a new system as something that needs to happen over a period of time. Policymakers: Deadlines help, but unrealistic deadlines are deadly. Finally, these discussions do get to the issue of evidence of student learning, but teachers’ skepticism of test scores is profound, as is the damage done to trust by steps taken in high-profile districts such as publishing teachers’ names and rankings on value-added measures in the newspaper. Policymakers need to put the onus on locals to design systems that include evidence of student learning that reflects the vision of excellent teaching that is at the center of the process. Nothing else matters as much as this. I believe that some of the reforms being debated today have the potential to address the problem of plummeting teacher morale. 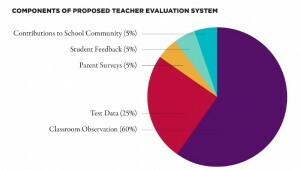 Redesigning teacher evaluation in particular has the potential to communicate an inspiring vision of teaching. But reforms will not have this kind of impact unless they are designed with this goal in mind. Merrill Vargo is both an experienced academic and a practical expert in the field of school reform. Before founding Pivot Learning Partners (then known as the Bay Area Reform Collaborative, or BASRC) in 1995, Dr. Vargo spent nine years teaching English in a variety of settings, managed her own consulting firm, and served as executive director of the California Institute for School Improvement, a Sacramento-based nonprofit that provides staff development and policy analysis for educators. She served as Director of Regional Programs and Special Projects for the California Department of Education. She is also a member of Full Circle Fund. This much we know. Never before has there been so much attention focused on teachers and teaching. And, according to the latest MetLife Survey of the American Teacher report, teachers’ satisfaction with their profession is down. Way down. These findings are particularly worrying given that there is a need to recruit two million new teachers into the profession over the next 10 years, and attracting talented people to the teaching profession in sufficient numbers has become difficult in California. Yet, I am more hopeful than ever before about the future of the teaching profession and the direction of education reform. Why such optimism? I’ve seen a renewed focus on capturing the voices of educators and making sure their experience and expertise helps shape education policy and school improvement. And there is greater acknowledgment that teacher evaluation must be viewed as one facet of comprehensive talent management systems that need to also focus equally on hiring, supporting, and advancing teachers. I couldn’t agree more. At New Teacher Center, we have surveyed more than one million educators about their perceptions of teaching and learning conditions in their schools and districts. This is part of our Teaching and Learning Conditions Initiative, which captures the voices of educators as a means to provide policymakers at the state, district, and school level with broad and detailed insight into teaching and learning conditions – as well as the data and tools for data-driven decisions on policy and practice. Education leaders in Massachusetts, North Carolina, Metro Nashville, Tennessee, New York, Rhode Island, Ohio, and Indiana are working with us this spring to launch six Teaching and Learning Conditions Initiative surveys to document and analyze the teaching and learning environments in schools, supporting the development of data-driven improvement plans aimed at advancing student learning. Through this work, we learned that conditions for teaching and learning are key to increasing student achievement and creating a more stable teaching force, but that considerable gaps exist between the perceptions of teachers and administrators regarding whether key teaching conditions, like sufficient planning time and availability of resources, are present. Administrators are likely to view teaching and learning conditions in their schools more positively than the teachers in those same schools. It is critically important for policymakers and education leaders to actively seek teachers’ perspectives, and to initiate conversations that lead to meaningful change. So I was thrilled when Duncan described a goal to engage directly with teachers and principals all across America to develop pioneering innovations in the way we recruit, select, prepare, credential, support, advance, and compensate teachers and school leaders. “We need mentor teachers, master teachers, and teacher leaders supporting younger colleagues, and driving school decisions around curriculum, scheduling, and staffing,” he said, making it clear that supporting new teachers is a critical piece of the RESPECT Project. I hope that, as we progress into a presidential election and explore reauthorizing the Elementary and Secondary Education Act (ESEA), Congress and the president allocate funding to support this powerful idea. It is so encouraging to think we may finally have turned a corner and put behind us oversimplistic ideas on how to improve education. So many others are now advocating for what New Teacher Center – and so many teacher leaders across the country — have long held to be true: We must focus on developing effective teachers in addition to recruiting, hiring, and evaluating them. What makes you optimistic about the future of education? Ellen Moir is founder and chief executive officer of the New Teacher Center, a national nonprofit organization that she created in 1998 to improve student learning by accelerating the effectiveness of teachers and school leaders, especially in underserved areas. Today this organization has a staff of over 150 who work closely with educators and policymakers across the country to ensure that the nation’s low-income, minority, and English language learners – those students most often taught by inexperienced teachers – have the opportunity to receive an excellent education.